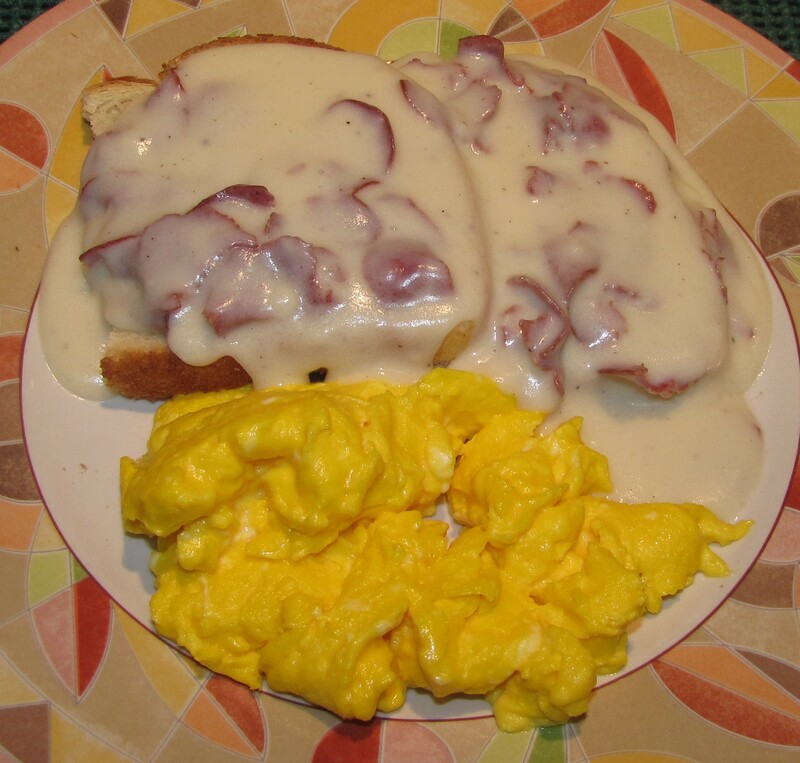 One of our favorite breakfasts is our farm fresh scrambled eggs with a side of creamed chipped beef on toast. Yes, this is also fondly known as SOS (named during some past war). Notice how vibrant yellow the scrambled eggs are? This comes from the deep yellow/orange yolks of our free range hens’ eggs. For each egg, add one tablespoon of heavy cream and beat with a fork till no white is visible. Melt a little butter in a non stick skillet over medium heat and pour eggs in. Let eggs sit till they start to thicken on the bottom, then scrape from the bottom of the pan, allowing them to thicken again before scraping. This way you get large mounds of fluffy scrambled eggs. Continue until done to your liking…some like them soft and some prefer them more well-cooked. Serve with sides of your choice, and salt and pepper to season as desired.